A short while ago, a student I know informed me of a Kiddush Hashem that occurred at his Yeshiva. The administration found out that a local police officer who’d been helping the school with dismissal, for years, was about to retire. In appreciation, staff hosted a school-wide assembly in which they recognized the officer’s service and dedication. The event was videoed and widely shared on social media. In relating the details of the assembly, the student chuckled, noting that his Rebbeim distributed mini-flags, in advance of the event. When I asked him what was so amusing, he hinted that it seemed incongruous for Rebbeim with long beards to be giving out American flags. I wondered why. Then, I recalled a conversation I had more than 15 years prior to this event. “Yehuda, is the school on Peterson the one that your children attend?’ The question was posed by the librarian of a Catholic school I was servicing. “Yes, it is,” I responded, wondering where the conversation was headed. She continued “Was it my imagination, or did I see students out on the playground on Memorial Day morning?” I informed her that it was not her imagination. The librarian, then, calmly and in simple language, shared with me how her two brothers had fought in World War II. Both were on a ship that was hit by a Kamikaze pilot. One died instantly. The other’s life was profoundly altered. He returned, an alcoholic, and became abusive to his wife and children. This brother was ultimately shunned by his family and died some years later, penniless and homeless. I tried to explain to her how our schools honor the sacrifice, by giving the afternoon off, while, simultaneously, adhering to the rigors of our religion, by conducting morning classes. She didn’t seem all that impressed with my answer. Years later, in an attempt to demonstrate, to students and parents alike, that we are not beholden to the rituals and customs of broader society, the Yeshiva’s administration decided not to mark Memorial Day, at all. They scheduled a full day of school, as though it were any other day of the year. When the school’s decision was handed down to us, I wondered what would happen, if I again met up with my colleague. Would I have anything left to say when she asked why the schools are now operating, Memorial Day, on a full-day schedule? I suspect that the young student found it amusing that Rebbeim were handing out American flags, because the thrust of the message he receives at Yeshiva is “We do not recognize the customs and core values of American society.” No distinction is made between those customs that reflect civic-mindedness and those that do not. We have, unfortunately, become a community that does not care a whit about the American flag and all for which it stands. We have a confused, problematic relationship with a country that guarantees freedom of expression and that insists that no group of people be marginalized, even those whose lifestyle seems antithetical to our values. It, thus, seems incongruous for the most visible representatives of our community, the Rebbeim, to celebrate the flag. There was another message taken in by the student: “American flags are not ‘our thing’, but we will distribute them anyway, so as to magnify the appearance of gratitude. This will, in turn, increase the Kiddush Hashem.” I find this problematic. When we combine our disdain for even such cultural norms as Memorial Day with our desire to look good in the eyes of the Goyim, then we have transformed Kiddush Hashem from an act of goodness (witnessed) to good acting (broadcasted). In short, we are attempting to posture and portray ourselves before larger society as something we are not. I don’t believe that Kiddush Hashem is about being an actor, or that it is about presenting our community as upholding the very values that we secretly reject. G-d does not want us to be fakers, to deceive, to be Gonvei Da’as. The Talmud’s (Yoma: 86a) conversation about Kiddush Hashem, of this sort, is illuminating. The scholar, Abayei, refers to someone who is clearly identifiable as a committed Jew – a Torah Jew – and who is pleasant in his dealings with others. The projected outcome: Those who witness this Jew, in action, conclude that G-d’s Torah is a source of goodness and refinement. G-d’s name is, in turn, glorified. Abayei then refers to the inverse: An identifiable Torah Jew who is dishonest in business and who is unpleasant creates the opposite effect and, ultimately, profanes G-d’s name. It is my sense, from this passage, that the Talmud is valuing honesty and integrity, more so than public relations. 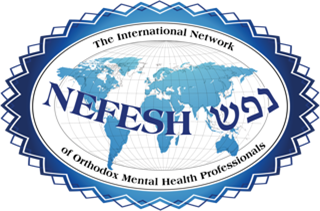 We are essentially being invited to approach Kiddush Hashem, from the inside out. Kiddush Hashem starts with our baseline regard for all people and with our commitment to extend fairness to all people. Kiddush Hashem, in America, encompasses valuing others, whether they are Jewish or Gentile, white, brown or black. It touches on our capacity to feel Hakaras HaTov to a society that allows us (and even supports a good many of us) to worship, as we wish. It includes the recognition that especially since most of us do not have family members serving in the Armed services, that we are deeply indebted to those who do serve and who do sacrifice. When the above is our natural stance, when it reflects the sentiments we have cultivated within ourselves, when the manner in which we publicly act is congruent with our private sentiments and behaviors, then we have created a Kiddush Hashem. Until then, we are simply using Kiddush Hashem as a band aid to cover the gaping holes in our Middos. In the process, we are deceiving ourselves and others.